There’s no need to fight the crowds at a large beach resort when you can stay at Gardenia Villa and enjoy your own beachfront oasis. With six bedrooms and plenty of activities to keep everyone entertained, this villa is a great location for several couples or older families to vacation together. You can take a leisurely stroll around the property’s waterfall and lily pond or enjoy a tennis match right on the property. The large swimming pool and beach are a few steps away from one another. There’s even a super-private guest house if you want to bring your in-laws or another family. 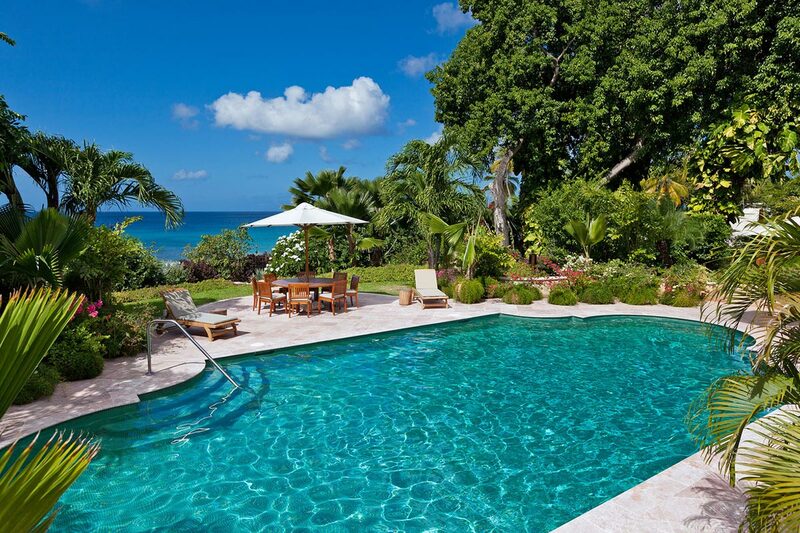 Gardenia Villa combines 3.3 acres of lush gardens with an elevated location above Barbados’ Platinum Coast. The villa offers spectacular panoramic views, expansive design, and luxurious tranquility. This property’s manicured landscaping stretches from the turquoise swimming pool down to the turquoise sea. After a day on the beach, guests can walk through the shaded gardens to rinse off in the outdoor shower. The large sundeck features surround sound, loungers, a changing room with two showers, and a dining gazebo with a wet bar. Lily ponds and trickling streams run throughout the property, as well as a private tennis court. The inviting, open layout blends the entryway with the impressive living room, dining area, and veranda. Coral stone pillars frame the sitting area and lead to the air-conditioned media room, game room, and kitchen. The media room features a flatscreen TV, while the game room features an entertainment system. The kitchen is fully equipped with modern appliances, granite countertops, and a center island. Gardenia also features a security system, washer/dryer, and WiFi. The main house has four bedrooms and the guest house has two. Three guest suites open to the veranda’s unobstructed sea views, and each offers an ensuite bathroom with a tub and shower. One has a king bed and the other two have twin beds that can convert into kings. The master suite encompasses the entire second floor, with a sitting room, balcony, dressing area, and ensuite bathroom. The guest house’s suites both have a wet bar, king bed, living room, and an ensuite bathroom. The guest house is 20 yards away from the main house, and offers quaint privacy. Gardenia Villa is ideally situated a few yards from the beach and less than 10 minutes from Holetown and Speightstown. This luxurious beachfront villa is also located within minutes of the exclusive golfing communities of Royal Westmoreland and Sandy Lane. Bedroom 3: Ground Level : King can be converted to twins on request. Bedroom 4: Ground Level: King can be converted to twins on request. Six of my friends and myself celebrated a 30th birthday at Gardenia villa. From top to bottom, everything was luxurious. The chef was absolutely amazing, and we didn’t end up eating out at all. We barely even left the house because everything we needed is in the house. We loved the beach, pool, and amazing staff. It was pure paradise. 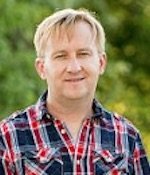 Andrew from WhereToStay.com also was a huge help and made our trip planning seamless!